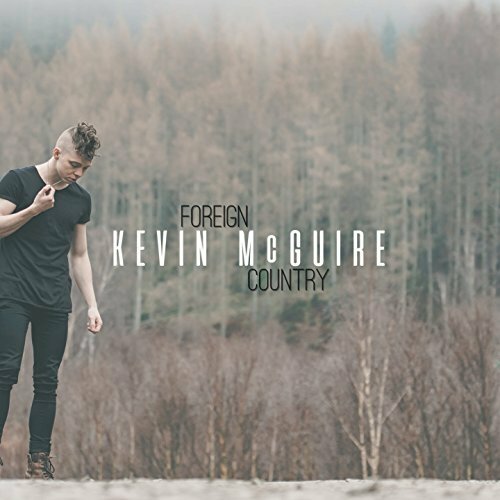 Hailing from Scotland, Kevin McGuire has one of the most exciting sounds in UK country right now which can easily break the US market too. 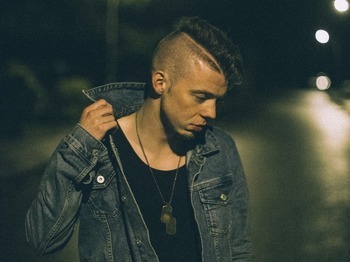 A young, talented singer/songwriter, Kevin has put his own twist on modern country music blending hip hop with the country storytelling traditions and making it fresh, modern, relevant and lack of a better word cool. 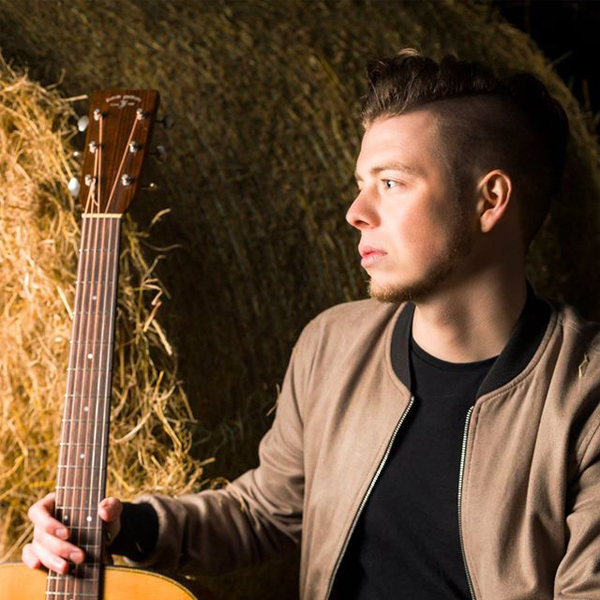 Kevin’s music will appeal to any country audience but will undoubtedly bring in a whole new young fan base too. Kevin recently released his single Late which has received a lot of attention and has given him many wonderful experiences and opportunities. 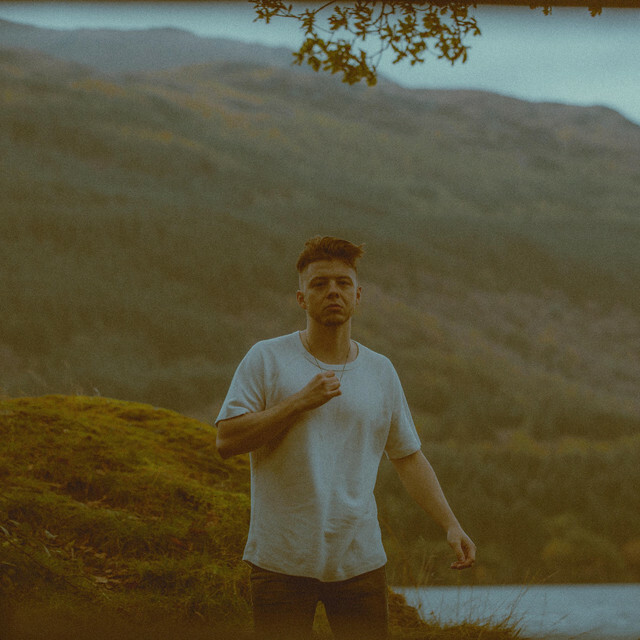 Late is a track off his brilliant EP Foreign Country. Hi Kevin, how are you? It has been good; it has been the first week I have been back since the EP came out. From summer leading up to now has been very, very busy, on the show side of things. Could you tell us a little bit about yourself and your musical background – what made you want to pursue a career in Country music? I have been playing music since I was a little boy but I have been listening to Country music since I was a teenager – the age I was allowed on the internet, ha! I used to check and see who was in the top Country charts. None of my family really listened to Country music so it felt really cool to have something to myself and that I was listening to all these artists that people within my circle hadn’t really heard of yet. I started to really think about pursuing a career in music at about the age of sixteen – I had been writing songs since my early teens and Country songwriting always kind of came out. It wasn’t something that I tried to force, it just became apparent that a lot of the songs I wrote were about story telling – I guess that’s where the Country influence came in. I didn’t really think too hard about it – I think as an artist you don’t know what’s going to happen until it happens, in terms of what you write. I think if you specifically go and say to yourself “Right, I only want to write Country music”, then you lose a bit of creativity if you box yourself in a genre. I wouldn’t say that I ever thought that Country music is the only route I wanted to take, but I would say it has definite influences in what I do and in the way I want to create music. You say you were 13-ish when you first discovered Country music- what artists were you listening to? Those were the days before social media, so you couldn’t really see who was into it and who they were listening to, so that’s why I felt like it was my thing. Yes, I felt that way at first. I would say, the first artists I really got into were Rascal Flatts, they are still one of my favourite bands. Then I was introduced to artists like Tim McGraw, Josh Turner – and I remember hearing Taylor Swift singing ‘Tim McGraw’, which was her first single. I was curious about her because of the song title, so it was good to be introduced to her before she became the artist she is now. Yes, same for me. I remember hearing her sing Our Song on the CMA’s and then that was it, obsessed! As we just discussed, when you started out, Country music wasn’t so widely heard in the UK and wasn’t quite as popular as it is now. Did you have any concerns marketing yourself as Country at first? No, I think being so young, that kind of thing doesn’t cross your mind. You don’t know anything about the music industry, so don’t know anything about the marketing. I think all I cared about was to write good songs and that hopefully people would like them. I have always been told that my music would suit America. So the fact there weren’t many Country fans in the UK didn’t bother me and, you know, it still doesn’t bother me. I know there is a market out there for it; I know that the UK fans are so passionate about it and I think we are slowly getting there. I think people are realising that Country music doesn’t have to be the likes of Dolly Parton and Kenny Rogers. There is a completely different sub genre that stretches so, so far with hip hop, r and b and dance and pop influences. So how would you pin point your sound if you could? I ask, as it is very different – in a great way – and you seem to be the only UK Country artist who is doing what you are doing? Thank you very much, I appreciate that. I would say there is a lot of R & B influence as well as Country, but it’s Country in terms of songwriting. It comes across when you write about something honest rather than something that has been done a million times. Tell us about your current single Late – what is the story behind the song, and who did you write with? Late is the song that I would say I am most proud of to date; it is the first song I have written and produced – and I did the production in my bedroom. The chorus I had for a few days before I had any other part and the lyrics are something that people can feel, it is a simple line but relatable. I was listening to a lot of Sam Hunt and Kane Brown at the time and I really liked the instrumental sound they were going for. There was also a strong guitar line in Kane Brown’s stuff, with a cool R &B vibe in the drums, so I started writing with that in mind. We got some really cool guitar parts first, which then allowed me to write the verse. Some songs take a long time and some songs just feel right. With that song, I never found it difficult to write, it felt like the right thing to do. 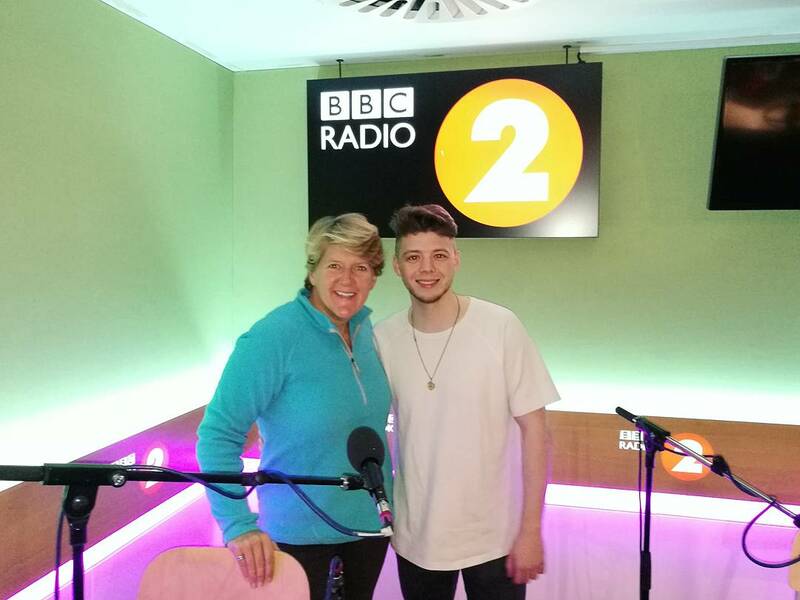 You performed it live on BBC Radio 2 with Clare Balding – how was that experience? It was totally incredible. It is one of the best things that I have ever done – I thought I would have been more nervous than I was, but I wasn’t. There was a sense of pride from recording that because I have done co–writes in the past and I have worked with different people in the past, but to have that song – a song that I created in my bedroom and did the production for – be my first breakthrough on BBC Radio 2, felt so special. I was really happy with the performance and everyone was so amazing. How was the reaction after it? Did you get any feedback from the listeners? I did, yeah. My manager told me to make sure people tweet in, so the BBC know that people are listening and enjoying it. After the performance my twitter was completely rammed with people who hadn’t heard me before, saying they enjoyed it. My EP, which was out in April, jumped back up to number four in the Country charts just from that performance; it was lovely. How was it shooting the video? Like my friend Kayleigh said to you on your Facebook post – it looked a tad windy up there! Yes, ha – but that is exactly what we wanted. The conditions were absolutely ferocious; it didn’t look as bad in the video but it was terrible. There was a storm coming, so we only had two takes for the entire song from start to finish and you will see there was one take, which we didn’t plan, but which was really cool and raw. Originally it was just going to be a lyric video but we needed something to go in the background, so we thought we would do an action video for more impact. It was on the West coast. If you have seen the video for Alright, Tonight!, you will see it is the same beach at a party with a girl, so this video is me returning to the same beach completely on my own but with horrendous weather. That’s the story of Late, basically – I went back to the place where I had such a fantastic time, so it’s a comparison to what was and what is now. I want people to see that it is the same beach and if you see the beginning of the track you will see me holding a cup from the party which was left over. Tell us about Nashville Nights, as I believe that was your first headline show? Yes, first headline show in London. It was incredible and couldn’t have gone any better. I loved the audience, the band were amazing, the staff were so nice, the venue was incredible, the sound was first class – everything was first class; it was amazing! Following on the weather theme – Nashville Meets London, performing in the rain? You know what? Although it rained before and after, throughout our performance it was completely dry. I almost had to call off the performance on the day, though, as I had a very, very bad throat infection. We travelled from Glasgow and I couldn’t speak on the way down – I couldn’t sing a single note. When we got to London my manager told the festival organisers that he didn’t think I was going to be able to do this, but would try. So we checked in to a B & B and I basically had four hours to try and make myself slightly better. When I got to the venue I was backstage and I didn’t think that there was any possible way to perform and they’d have to draft somebody else in to take my place. But we spoke to the organisers and said that we were going to try to do a couple of songs if we could – and we ended up playing for an hour, which was honestly one of the best moments of my entire life. You are quite active on social media which is nice. How important do you think it is in the current industry climate? I ask, as a friend of mine is now a huge fan of yours after you followed her – when she got the follow, she checked out the music, she loved the music and the rest is history. I think it is important- I try to be as active as I can. I don’t have time to do it as much as I would like to but I try to respond to as many tweets and messages as I can. It is also a great platform to get your music out. You have released your EP Foreign Country. How hard or easy is to select songs for an EP? It was quite hard, but we had a lot of choices which is a good. I picked the ones that I felt were right for that time, the ones that we had in good shape. I wanted to give a good mix of Country styles like Alright, Tonight!, which is a feel good, upbeat track, Late which is more toned down, 3am which was the first single and has a more R&B feel, I Belong which has a really live band, big sound and the piano-based song Easy Love, to show another side of the songwriting. What is next music wise? Are you set to release an album? If so, what can we expect from it? I am working on an album – not sure when it will be released, but will probably release another EP first, as we try to move on to America. Are you going on tour? If so, where can we see you? Yes, we are planning to go on tour and my manager is working very hard at trying to get something set up as soon as possible. We will be out with Jess and the Bandits in February. Well, thank you so much for chatting today and I hope to see you soon.